China is investing heavily into future-oriented ice sports technologies, a trend that could clearly be felt at this year’s Word Winter Sports Expo (WWSE) in Beijing. 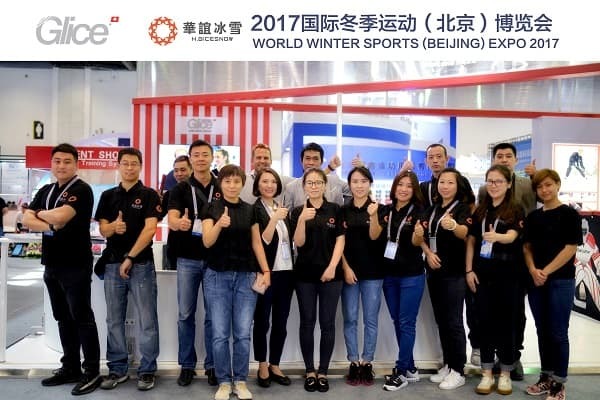 Glice® demonstrated its readiness for the Chinese future vision of ice sports by presenting its synthetic ice rinks with a large booth at the exhibition. Thanks to the help of our recently extended team and office in Beijing, the tradeshow was a full success with many new contacts made!